I had a big month across almost every account! The only account that hasn’t gone up was my old 401k, and that was because of a slight drop in the market when I calculated these numbers. 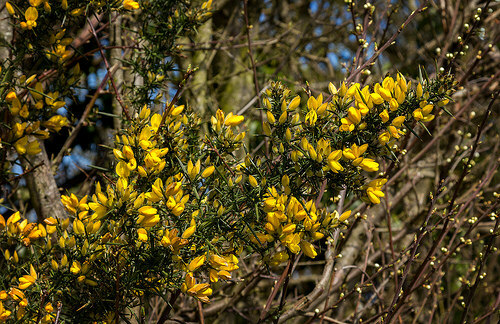 It’s been relatively steady otherwise though. My new 401k continues to increase thanks to my contributions, not having quite enough money in there to be affected by the market yet. 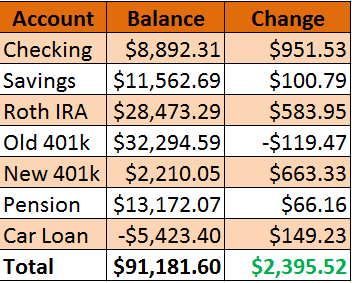 The large gains in my checking account and Roth IRA were thanks to receiving my tax refunds last week, making it look like I got paid just a bit more this month. My Roth account also performed a little better than my old 401k, or it could have also just been the timing when I recorded the numbers. Either way, it’s always good to have it trending in the same direction. My car loan continues to drop at the same pace it has been, no changes there as usual. Same thing with my savings account, accumulating those automatic $100 transfers each month. I also noticed that I received some interest credit into my pension this month, and every little bit helps! So let’s see how far my assets would actually take me at this point in time. I’m now going to use my average spending over the last 12 months. I’ll then multiply that by 12 months to get the total spending for the year, and then divide my total net worth by that amount. That’s how long I’d be able to live off my savings at that point in time. 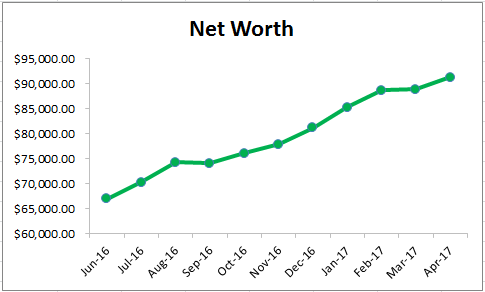 This calculation should start to become smoother and give a clearer picture based on my net worth in the coming months as I get more data. 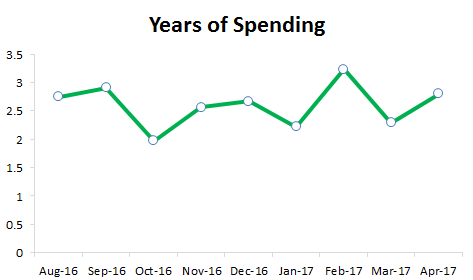 I’ll now be using the average spending over a 12 month period, which should avoid crazy fluctuations when I go on vacation or make a large purchase. It will also still paint an accurate picture, but it is my real spending. Instead of shooting up and down off my spending, I’m hoping for a more constant trend based on net worth now. I also thought it would be cool to see the opposite, how much would I be able to withdraw each month? I set the rate of return at 4% as a conservative guess, and the retirement time period would be for 30 years. I’d be able to withdraw $434 a month for 30 years which is 13.1% of my spending of the previous month. That’s an increase of over $10 from last month, and I continue to work towards bumping that number up as quickly as possible! I’ll also continue to look into tweaking all these numbers to make the data more useful and this post more interesting as I go along. It’s always cool to get a different perspective on the numbers to stay motivated.